Domitia Longina was an Empress of Rome and wife to the Roman Emperor Domitian. She was the youngest daughter of the general and consul Gnaeus Domitius Corbulo. Domitia divorced her first husband Lucius Aelius Lamia in order to marry Domitian in 71. The marriage produced only one son, whose early death is believed to have been the cause of temporary rift between Domitia and her husband in 83. 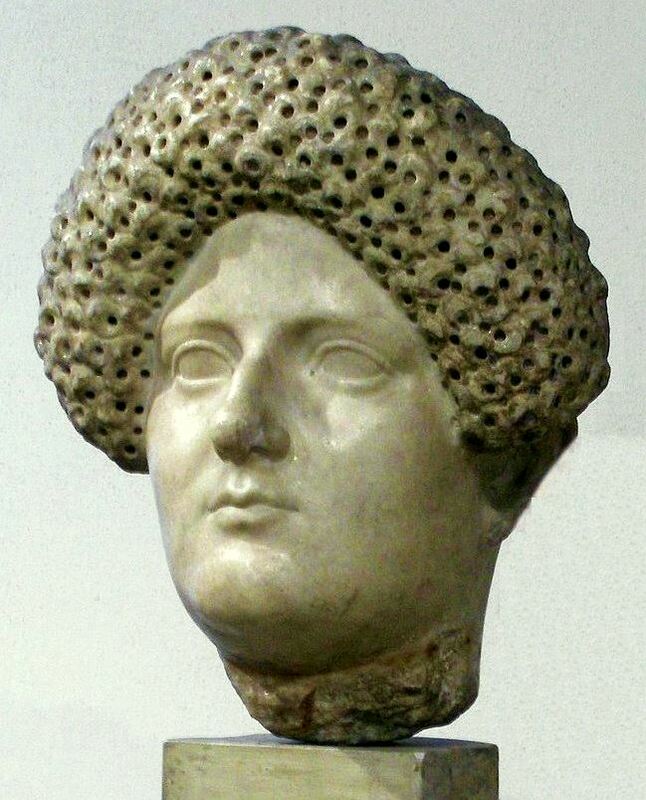 She became Empress of Rome upon Domitian's accession in 81, and remained so until his assassination in 96. She is believed to have died sometime between 126 and 130. Coins of Domitia are very rare.